Federal and local governments are striving to better manage their budgets and resources, requiring agencies to analyze, plan, and forecast using more rigorous, outcome-based tools and methods. Rigid, manually-driven systems hinder your ability to see the whole picture and make timely, well-informed decisions. Neubrain’s Government Comptroller Toolkit is the nimble, responsive, and sustainable solution. 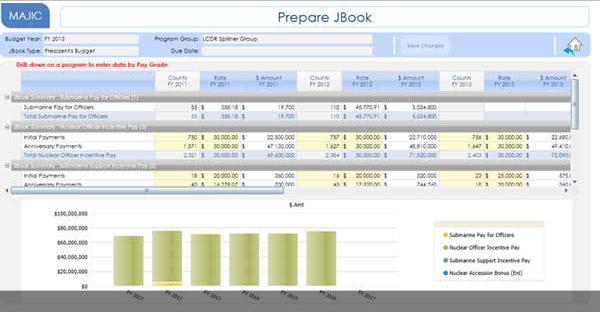 Compliant with government policy, functionally robust, and backed by our best practices, the toolkit is designed to simplify and integrate all your analysis, planning, reporting tasks, including Programming, Budgeting and Execution (PPBE) and Congressional Budget Justification (J-Book), into applications that are easy to implement, learn, and use. 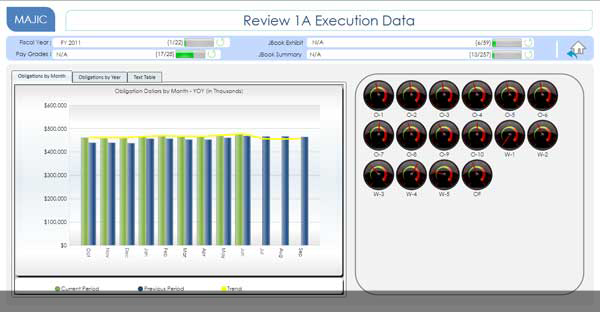 Our Government Comptroller Toolkit optimizes manual and Excel-supported processes and modernizes existing custom or rigid tools like Excel, VBA, SQL, Access, and others that are used in budget execution, formulation, and reporting tasks. Our Toolkit integrates data outputs from core financial, compensation, and other resource management systems, eliminating the need to cleanse and re-enter data. It improves accuracy, quality, and auditability of analysis, budgets, and forecasts by providing single version of truth for your financial, project, and resource data. Our Toolkit also enables collaboration and knowledge sharing by preserving business rules and automating workflows in a centralized environment. It is easy to implement, learn, maintain, and automate, and is an essential financial management solution that every agency will benefit from.